Helical Finned Tubes provide the designer with high thermal efficiency and compact design solutions for a whole range of heat exchangers where clean flue gases are encountered. 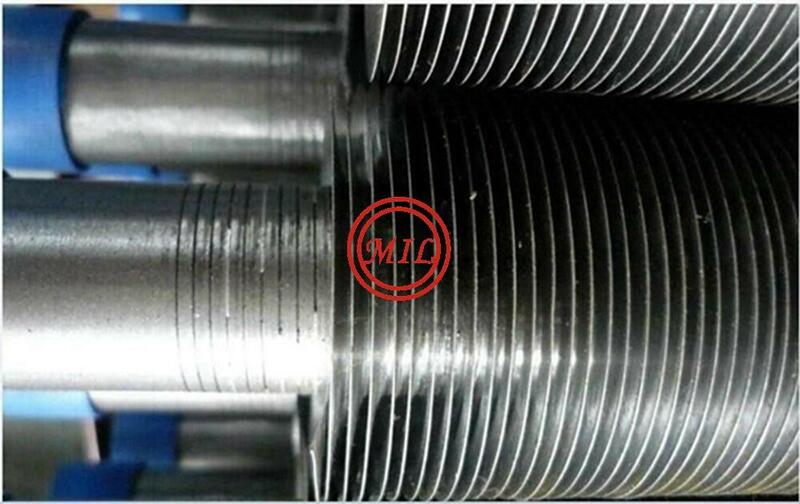 Helical finned Tubes are manufactured in both Solid and Serrated win profiles. 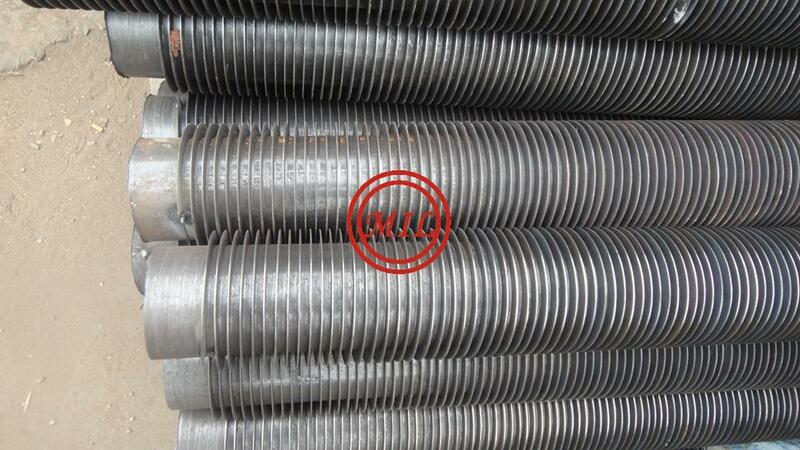 Helical Solid Finned Tubes are produced by helically wrapping continuous fin strip tube. 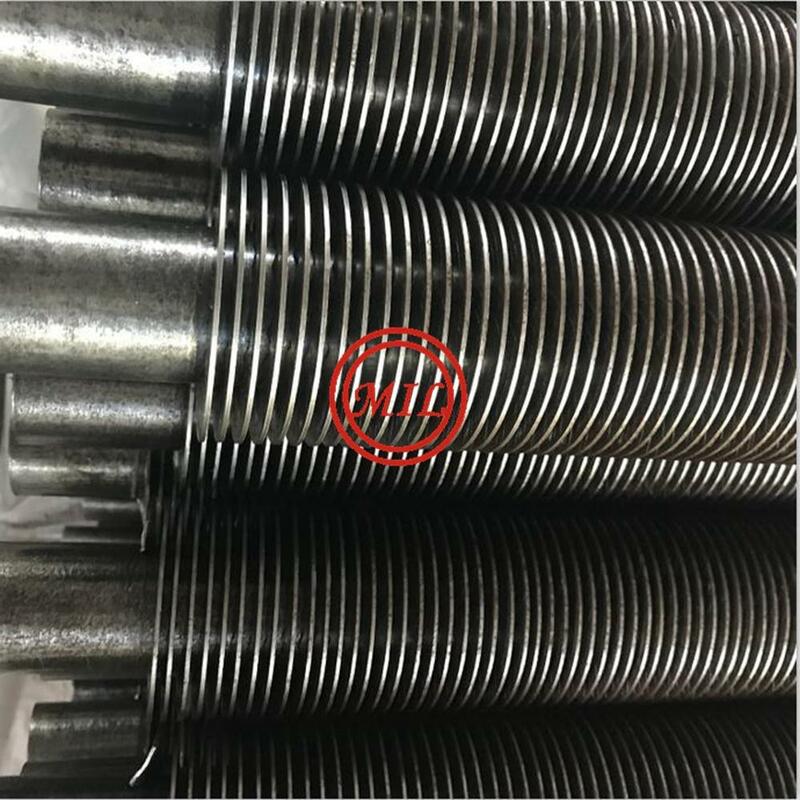 The fin strip is wounded spirally onto the tube and welded continuously with a High Frequency Electrical process to the tube along the spiral root. The fin strip is held under tension and confined laterally as it is formed around the tube, thereby ensuring that the strip is in forceful contact with the tube surface. 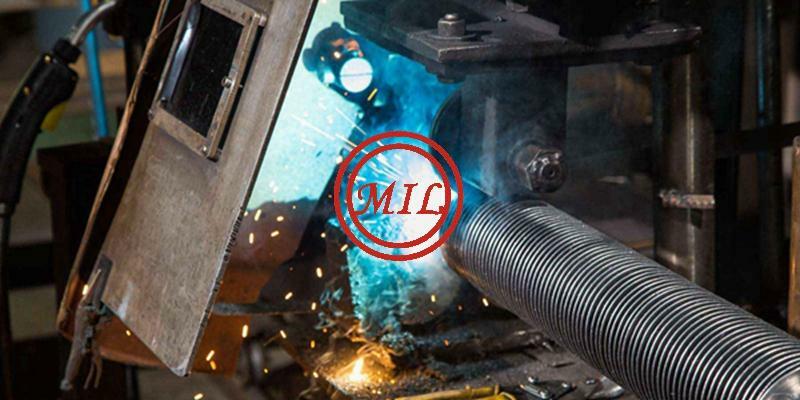 A continuous weld is applied at the point where the fin strip first begins to bend around the tube diameter, using the gas metal arc welding process. 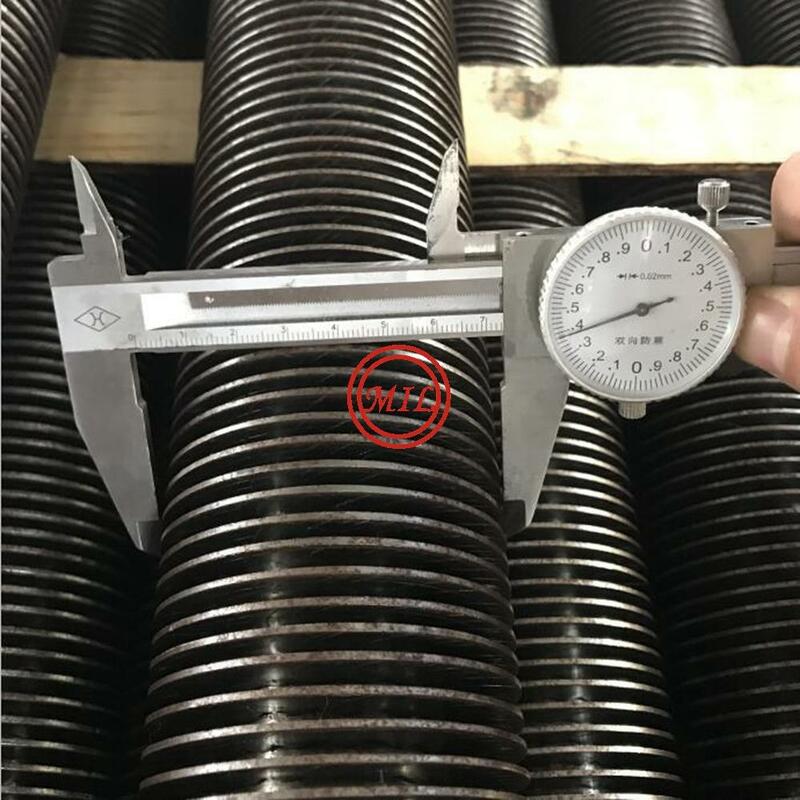 For a given pipe or tube size, the desired heat transfer surface area per unit length of tube can be obtained by specifying the appropriate fin height and/or number of fins per inch of length. 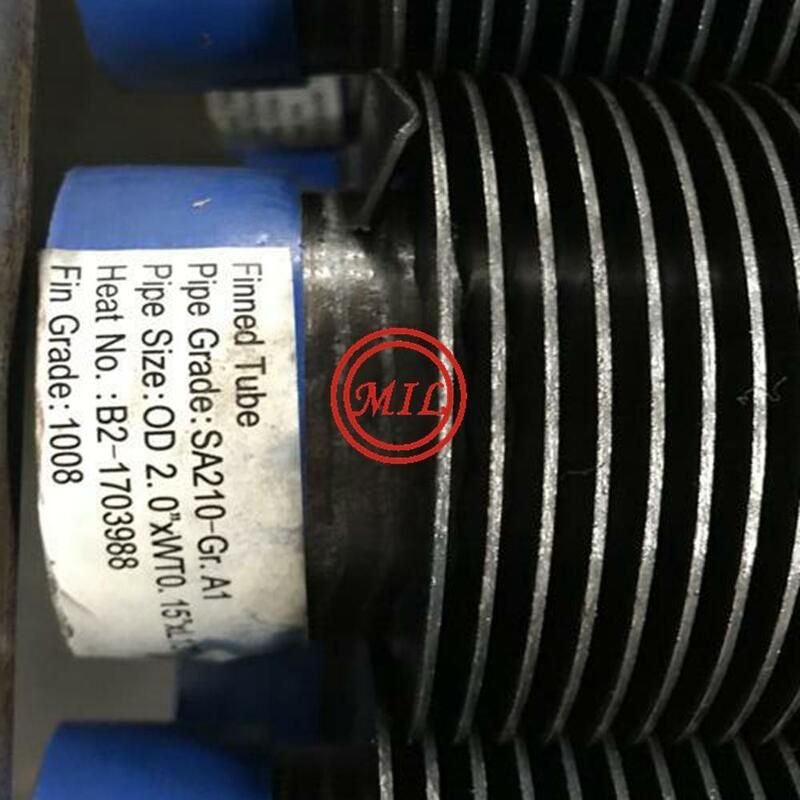 This welded steel finned tube configuration can be used for practically any heat transfer application, and is particularly suited to high temperature, high pressure applications. 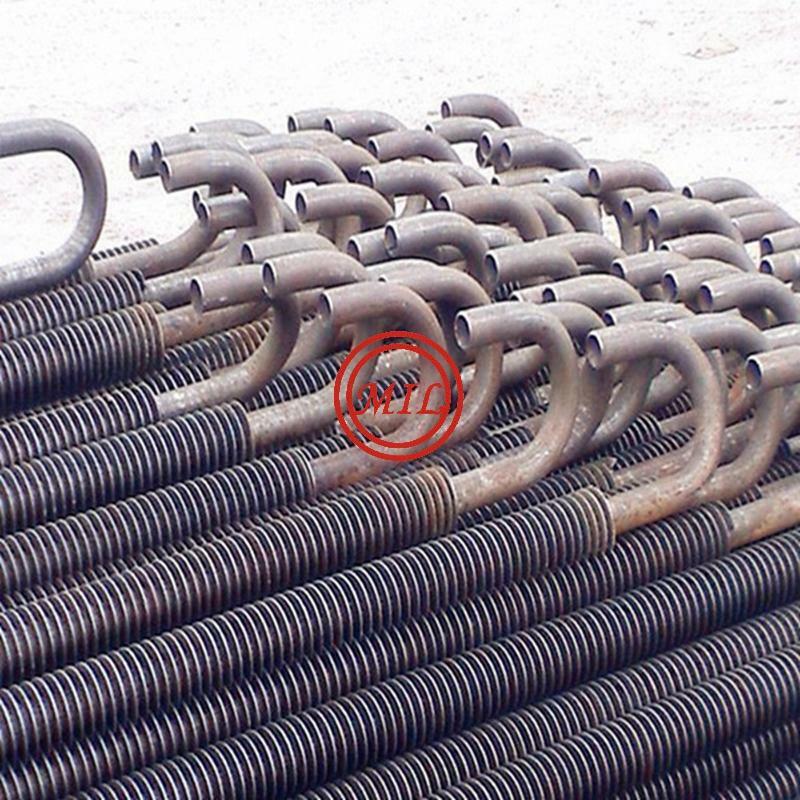 The important features of this configuration are efficient, effective bond of fin to tube under all conditions of temperature and pressure, and ability to withstand high fin-side temperatures. A continuous helical fin is attached to the base tube by high frequency electric resistance welding in order to give an efficient and thermally reliable bond. 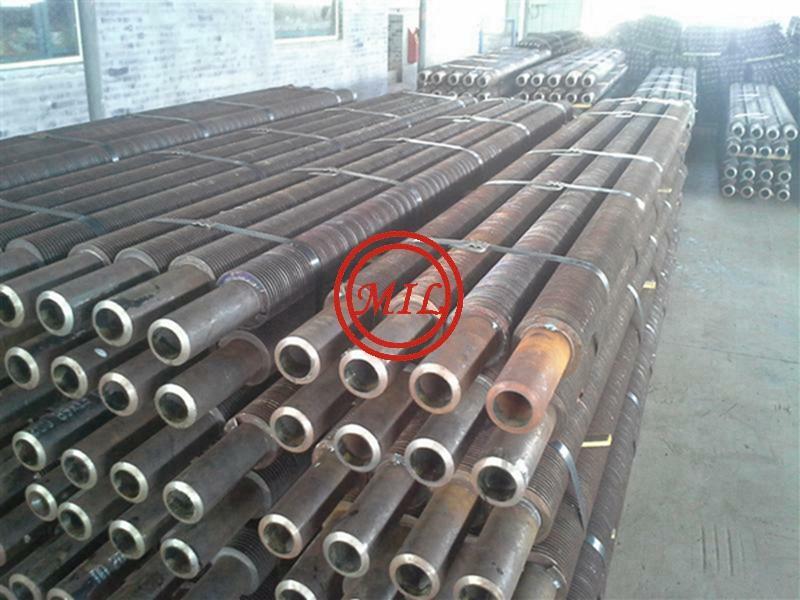 base tube: Diameter, thickness, length and material specification. Fins: material specification, type (solid or serrated), height, thickness, spacing, finned length and unfinned sections. Weld prep details if required. The fin is wrapped around the tube and secured at each end. Gives some surface protection to the tube. Used for moderate temperature cooling applications. The fin is wrapped around the tube with an overlapping foot and secured at each end. Gives good surface protection to the tube. Used for moderate temperature cooling applications. Fin is embedded into the outer wall of the tube, but gives no surface protection. In general use for continuous process applications; ie refineries, petrochemical, fertilizer and gas plants. The fin is wrapped around the tube and the foot is rolled into the outer surface of the pre knurled tube and secured at each end. 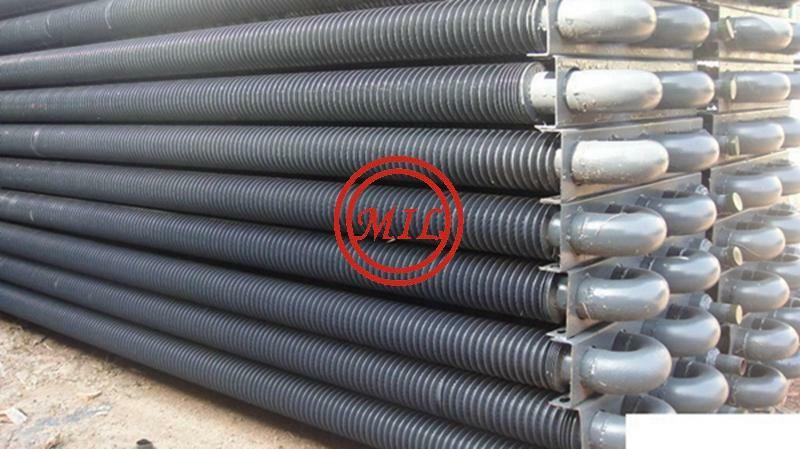 Gives good surface protection to the tube and improved heat transfer compared to the L or LL type fin. 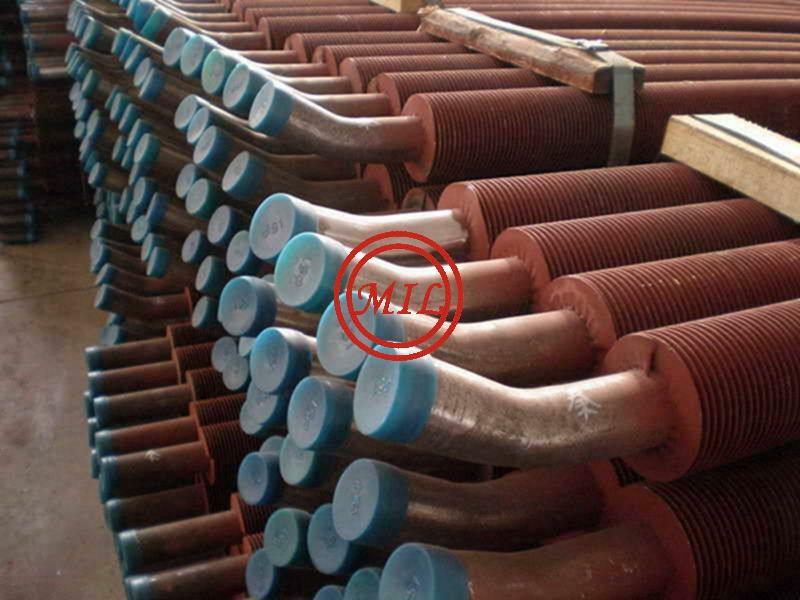 Used for moderate temperature cool applications. 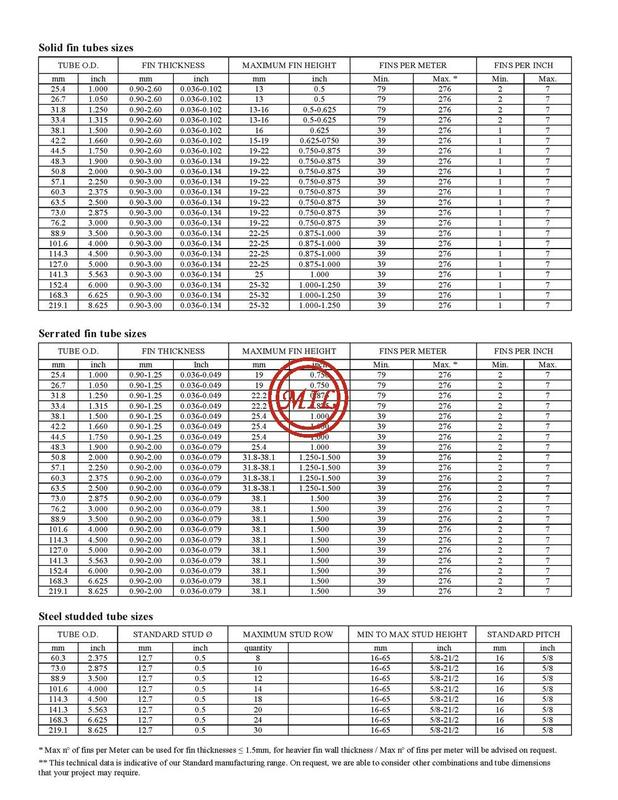 The table below shows American material specifications as an example - materials can be to DIN, BS, AFNOR, UNI, PN, and many other standards. Please give details in your enquiry. 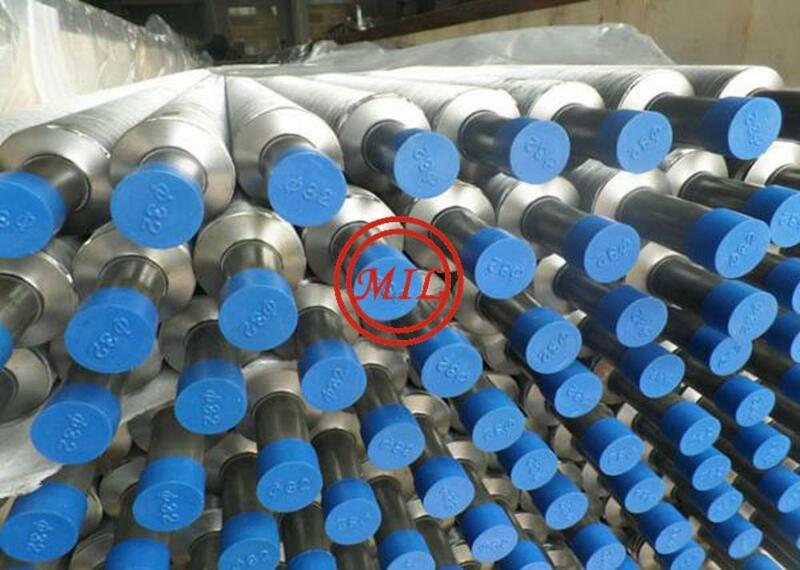 Aluminium standard 99.5% purity, other specifications are possible.